Karnataka’s department of archaeology, museums and heritage is planning to turn Svetoslav Roerich's estate into an internationally reclaimed museum. A tender for the restoration of the property has been floated and calls for the renovation of the residential space, studios, and memorial. The department would also like to landscape the garden at the 456-acre Tataguni estate and build a park in its compound. The central site will be the new museum building, where over 240 of the Russian artist's paintings will be displayed, only a small portion of which are currently available for public viewing. In all, the project will cost over $4 million. 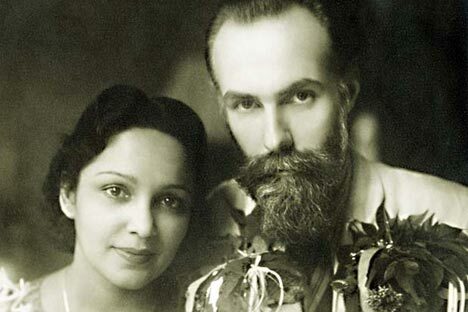 Svetoslav Roerich and his wife, Indian film star Devika Rani, took possession of the Tataguni estate, on the outskirts of Bangalore in 1948. After the actress’ death in 1994, a property dispute arose over the state. The estate’s housekeeper allegedly forged a will in an attempt to inherit the 456 acres of property. Later, a company that once bought a lot of land from Rani tried to claim a big part of the estate. A court finally awarded the property to the Karnataka government in 2011. “The first stage of work consists of restoring the buildings and memorial, as well as sprucing up the territory of the estate. It should take about a year,” said Manu Baligar, a member of the estate's trustee committee. Baligar believes it will take two to three years to entirely finish the international museum complex. The museum will be open to regular visitors, as well as to artists, who will get the chance to work there. The Karnataka authorities believe the museum will help generate greater interest in the life and works of Nicholas Roerich’s son, who was a great artist in his own right. “The project's main goal, of course, is to preserve Roerich's cultural footprint. But at the same time, we expect that the museum will revive an interest in his work, and the number of visitors to the estate will increase,” said K Niranjan, Secretary to the Karnataka Government’s Kannada, culture and information department. The state's plans include a study of the experiences of other countries that created similar museum complexes. Indian specialists will soon visit Amsterdam's Van Gogh museum. Last November, the estate became the subject of a scandal, when the local legislative body proposed turning a piece of the estate's territory into a garbage dump. However, in the end the initiative was severely criticized by Indian society. Some time ago, Russia offered to provide expert support and a team of Russian art restorers. In addition, some Russian companies offered to provide financial support. However, the Indian authorities have decided to manage on their own for the time being.